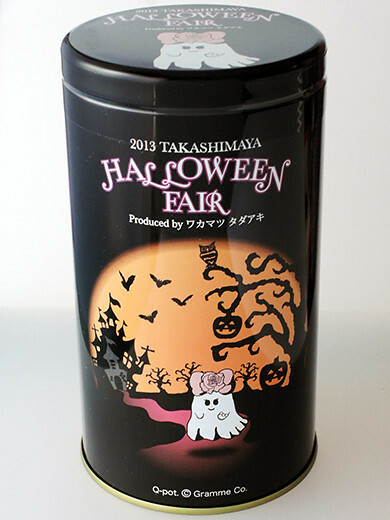 Yokumoku made special can for Takashimaya Halloween. Cute girl ghost illustration was produced by Q-pot. 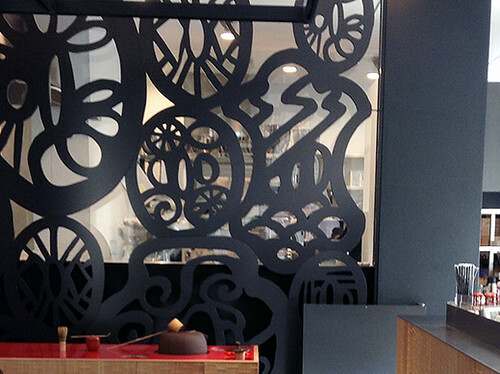 designer, Wakamatsu Tadaaki. 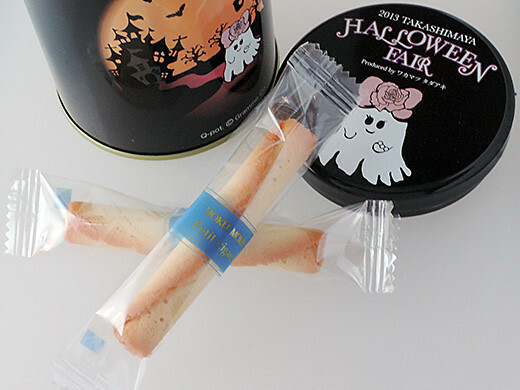 Of course Cigare cookies are tasty as always. 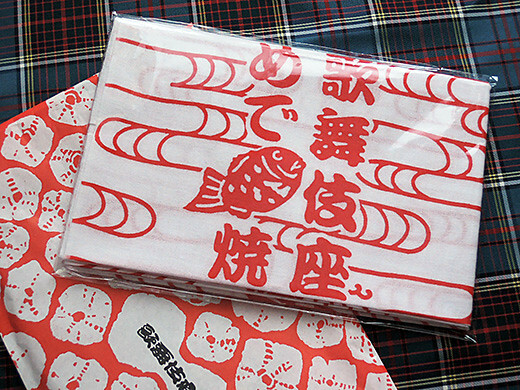 I got Medetaiyaki and Medetaiyaki Tenugui (traditional cotton towel) after waiting in line in Kabukiza. 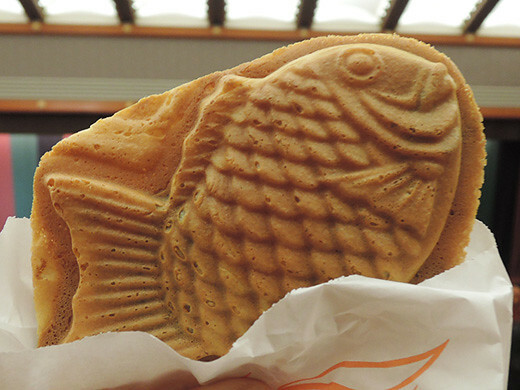 Medetai means like happy, joy or congrats, and you know taiyaki is sea bream shaped Japanese sweets. 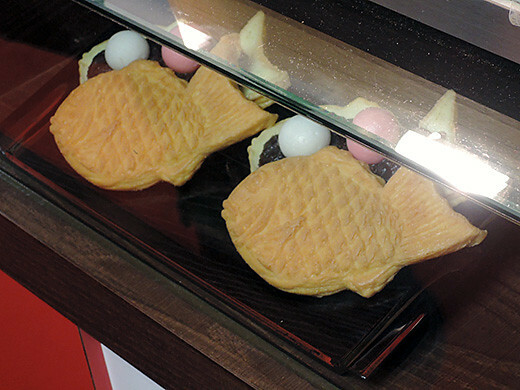 Medetai+taiyaki=Medetaiyaki sounds happy for Japanese. 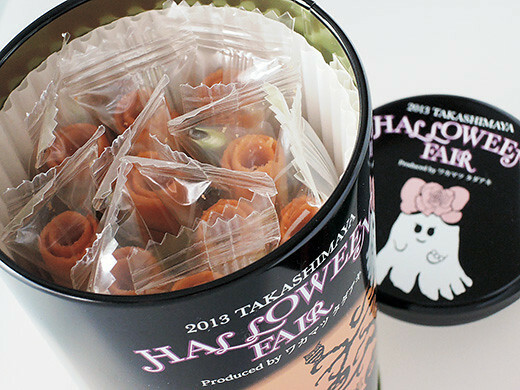 And more, sweet bean-paste with red (pink) and white mochi dumpling in the tummy of it! Red and white are also happy colour for us. 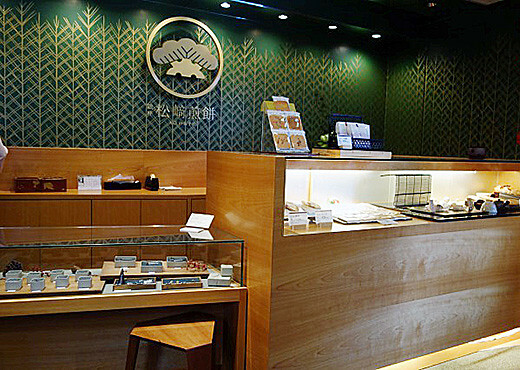 The shop is only for Kabukiza, of course it is very popular and good. 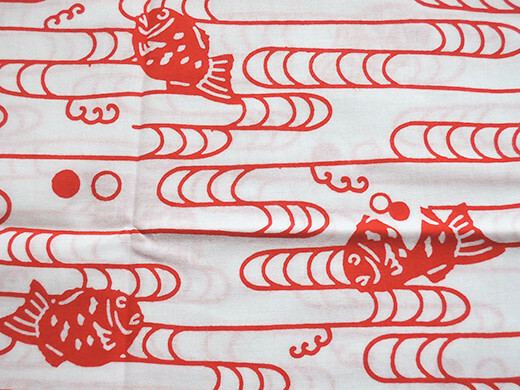 And Medetaiyaki tenugui is so cute!! 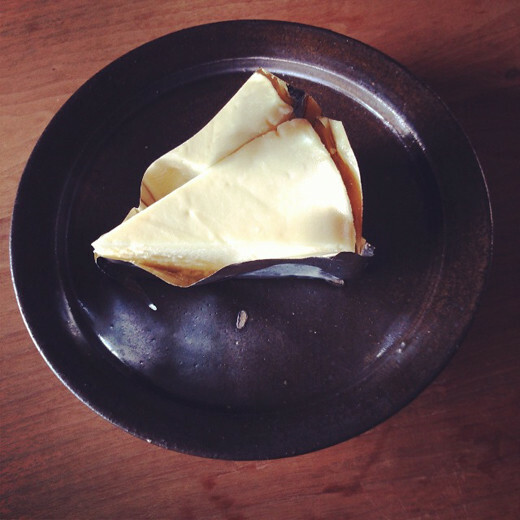 I love the pattern of the towel… one of Medetaiyaki shows its mochi dumplings from tummy. 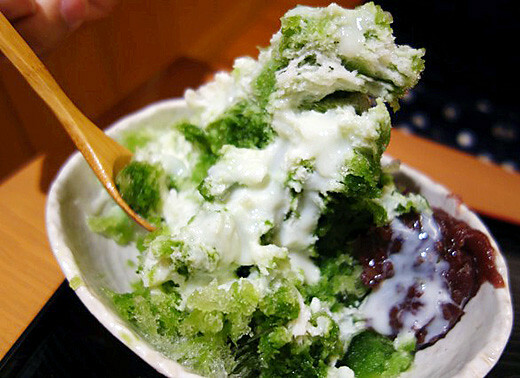 have a shaved ice with Matcha which is very popular there. 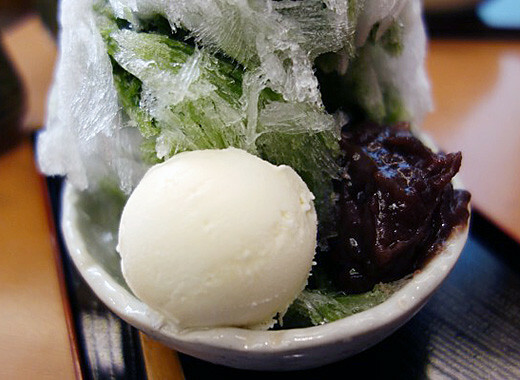 The red bean paste was came with the shaved ice, however, my friend chose to top with condensed milk. And, I chose to top with ice cream. I really love the Matcha shaved ice. 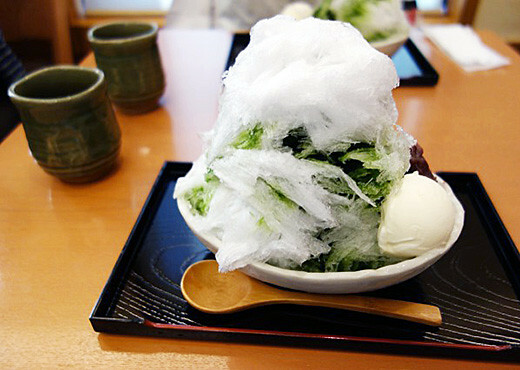 However, we surprised with the shaved ice which was incredibly soft. 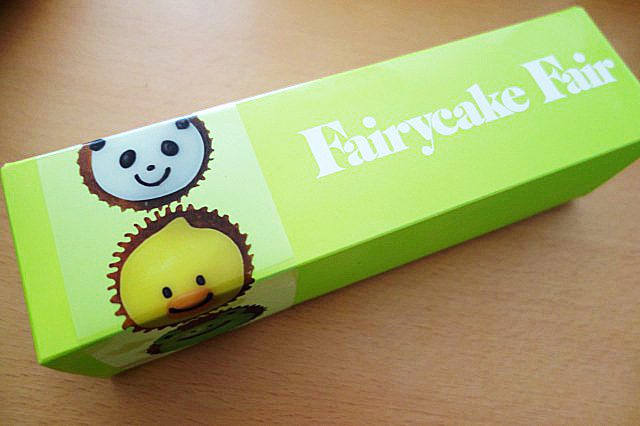 My friend gave me very cute cupcakes from fairy cake. 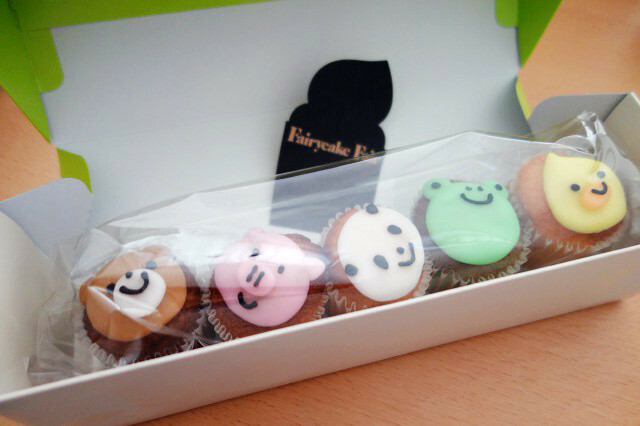 There are 5 flavors such as matcha, coffee and vanilla with 5 kinds animals in a pretty box. 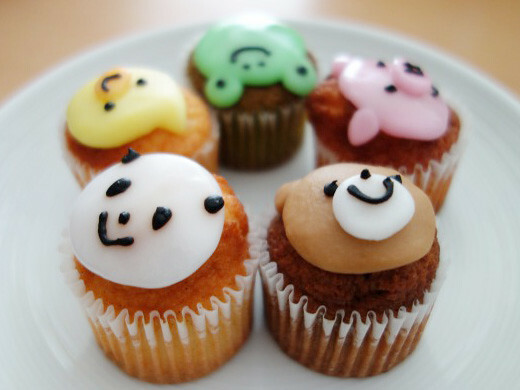 It was so sad to eat them all, but they were so good. 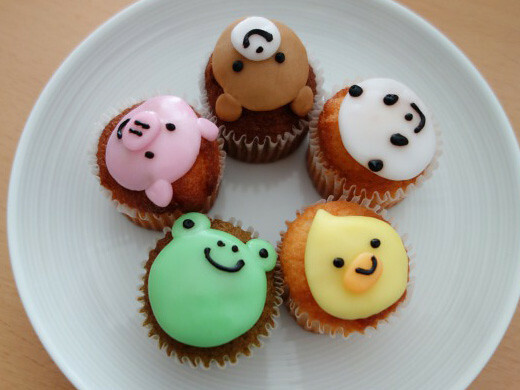 Also, it is good for children because the cupcakes are handmade and free from preservatives. 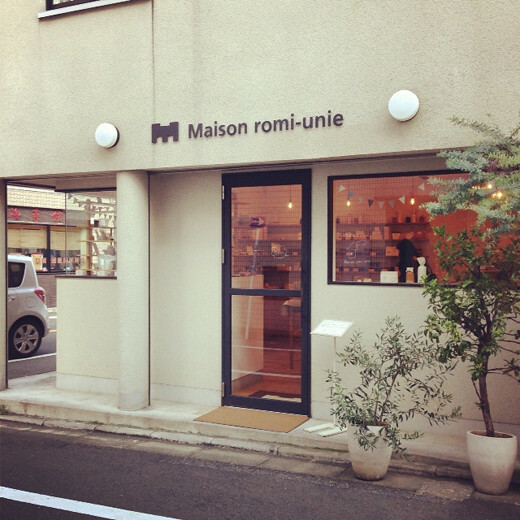 Maison romi-unie is a baked sweets shop which offers cookies and pound cakes. They have a wide range of jams and fruit syrups too as the shop was originally started as a jam shop. 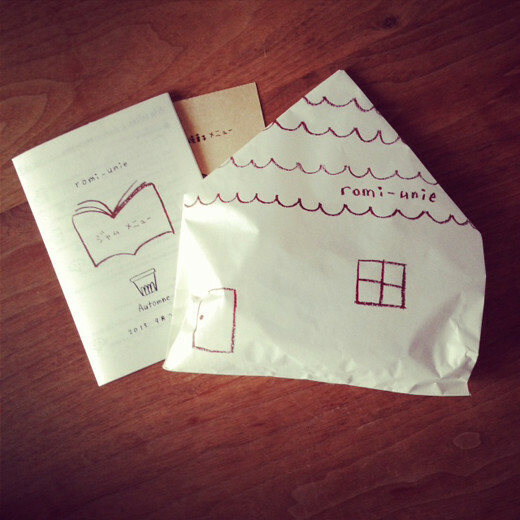 I use this shop for souvenirs or gifts, because their wrapping and boxes are so cute. 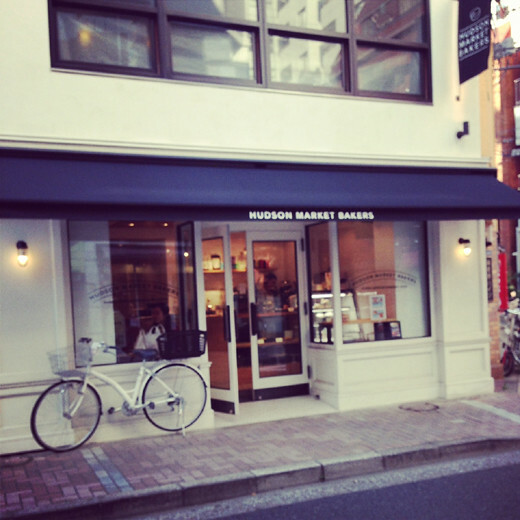 it is a must go shop. 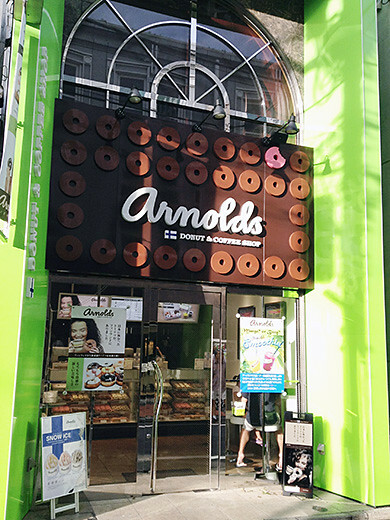 Pop and cute designed donuts came from Finland to Kichijoji. We had “milk chocolate” and “orange chocolate”. 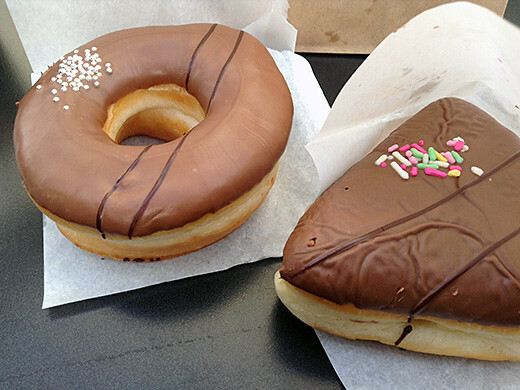 Belgian chocolate glaze are thick, good with fluffy yeast donut. 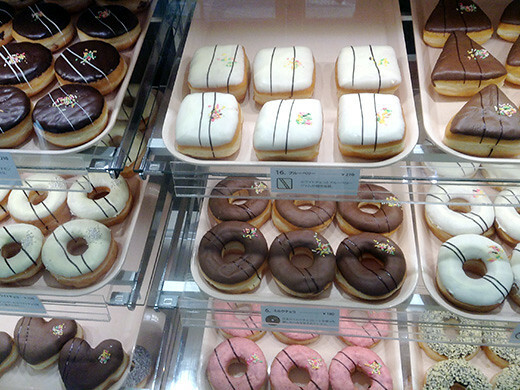 Now here’s good season to bring some donuts and enjoy sweet picnic at Inogashira park! 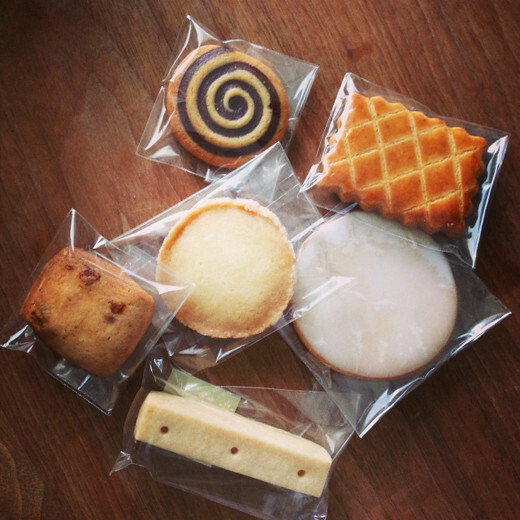 ZENKASHOIN is one of the long established confectionery in Kyoto, and now we can enjoy their sweets at Shibuya Hikarie. 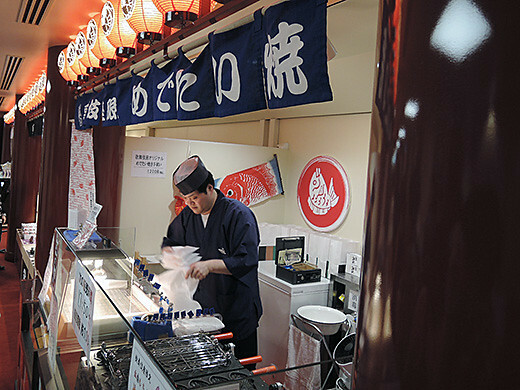 I had matcha uji-kintoki shaved ice at there. 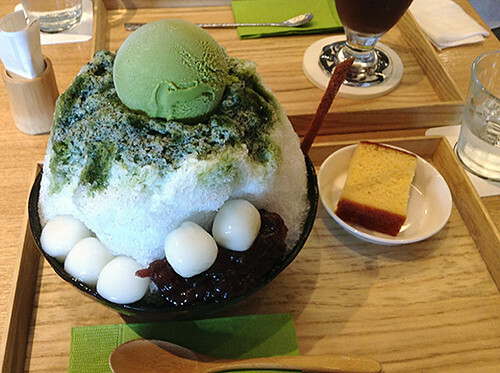 Big fluffy ice ball come with good flavored matcha syrup, matcha ice cream, sweet bean-paste, soft rice‐flour dumplings, thin Japanese cookie and a piece of castella sponge cake. 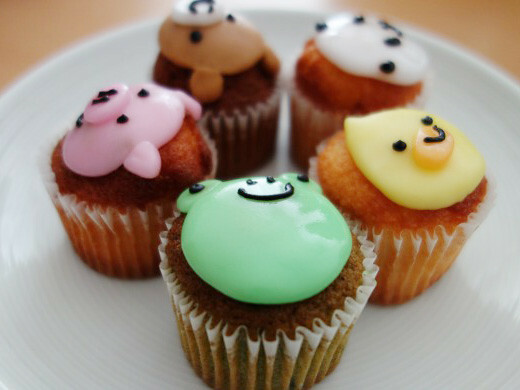 I enjoyed good summer afternoon tea time.